The Tropical North, with its lush green outdoors, pristine beaches and almost 300 days of sunshine a year is an outdoorsy person’s dream come true. With rainforests to walk, mountains to climb, islands to explore and an almost endless number of sporting events from cycling, marathons and ocean swimming through to full IronMan comps (for the truly committed), this is a region where ‘sweat-cation’ isn’t just for holidays, it’s a way of life. And sweat you will, sunshine. 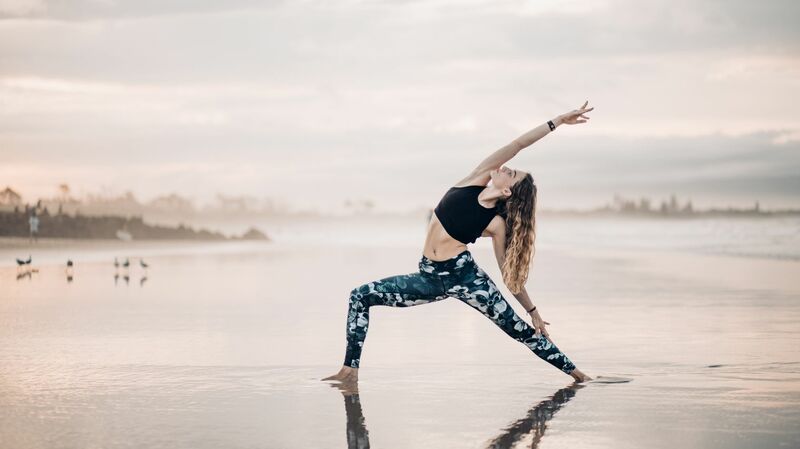 In the name of journalistic integrity, we popped on our Lorna Jane activewear and bared our spirits to the #fitspo gods to bring you the very best of the Tropical North’s HIT (High-Intensity Travel) fitness options. Fancy chasing the sunrise from the beach or navigating the rainforest from the river? Stand-up paddle-boarding, or SUP, is one of the world’s fastest growing sports, with holidays dedicated to the activity. The folk from Pacific Watersports have a number of options available for SUP and kayak lovers, from sunrise paddling through to island hopping and turtle tours, all from the beachfront in the palm-fringed, aptly named Palm Cove. This is the perfect way to keep cool in the tropical heat while exploring the world below. Rather lick a cane toad than pound out another hour on the ‘dreadmill’? No worries! Mother Nature is the best gym you could ask for, especially with the Arrow Circuits in the Mount Whitfield Conservation Park. Running through the rainforests directly behind the Cairns Botanic Gardens, the Arrow Circuit is divided into 4 sections (Red, Blue, Green & Yellow) based on distance and difficulty. Steep climbs, windy tracks and killer stairs, this full circuit is almost 20KM for the loop and takes you to the top of Lumley Hill for smashing views over the Coral Sea out to Green Island. Like a little Latin flavour with your workout? How ‘bout keeping cool at the same time? Well, have we got the tropical exercise for YOU! Splash your way into shape with Aqua Zumba – the Zumba Pool Party! Latin beats, a cardio workout in an outdoor lagoon within view of the swim up cocktail bar... what’s not to love? C’mon people, dance it out! Yoga practice on holiday doesn’t need to be a 90-minute heated vinyasa flow at the crack of dawn. However, if that is your jam, then when in the tropics your sun salutes should be on a beach, ammiright? Located at The Beach Shack in Kewarra Beach just north of Cairns, this is yoga in it’s tropical, outdoorsy finest. Thatched roof Balinese hut? Check. Sounds of the ocean lapping this shoreline as you ‘ohm’? Check. Booking next holiday just for this experience? Check, check, check.